The primary purpose of a dental crown is to completely cap or cover a damaged tooth or placed over a dental implant. Moreover, it can improve the appearance, alignment or shape of the tooth. Ceramic or porcelain dental crowns can easily match the colour of your natural teeth. 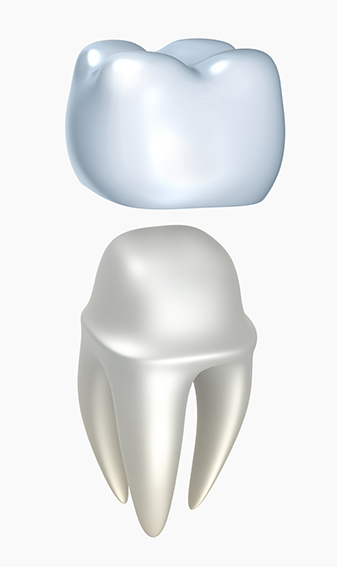 Crowns are manufactured from a wide range of materials, including Zirconia, V.M.K, and gold crowns. The Zirconia crowns are laser cut from a block of zirconia substrate which is matched with the natural colour of your own teeth. Porcelain is applied to the zirconia core to prevent the black line that often appeared around the gum line with older V.M.K. crowns. V.M.K. 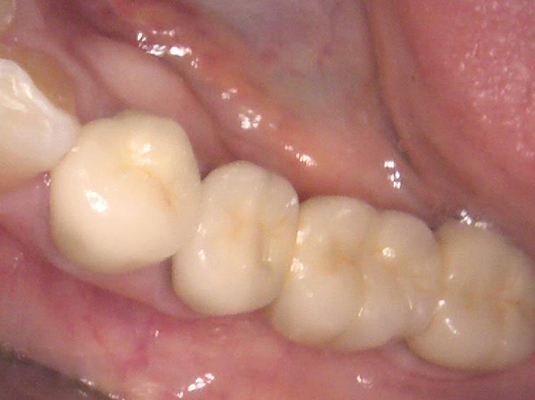 porcelain fused to gold crowns have been used for forty years with great success. They are very strong due to their platinised gold core with porcelain fused onto it. These types of crowns can be used on front and back teeth, as they are very natural looking and can resist the grinding that back teeth endure. Gold crowns are used on the back molars of men who grind their teeth. They do not break and because gold is soft, they are gentle on the periodontal ligament which holds the tooth in the bone. How Our Crowns Are Made? Before a crown can be made, we must first take an impression to get an exact mould for your crown. For porcelain crowns, we determine the best shade for your crown by matching the colour with your natural teeth. A dental laboratory uses this impression to make your crown. A temporary crown is put in place while the permanent crown is made. 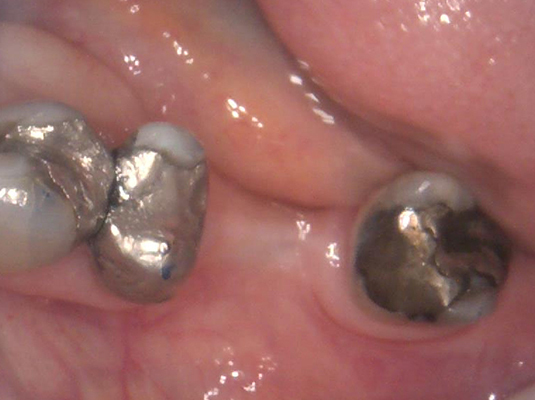 Once the permanent crown is ready, the temporary crown is carefully removed and the new crown is secured. We are very lucky at Frenchs Forest Dental to have one of Sydney’s leading dental laboratories close by in Killarney Heights. We are able to produce laser cut Zirconia crowns at this laboratory. The laboratory has the latest laser cutting technology and uses a variety of different ceramics to create the substrate and framework for large implant reconstructions. Which means beautiful, perfect fitting crowns. Having an advanced laboratory such as this provides us with a distinct advantage. As we can readily make adjustments to the colour or the shape of the crown with little inconvenience to the patient. For more information about dental crowns, contact us today on (02) 9452 5600.